A study showed that 78% of “local” Google searches resulted in offline purchases. 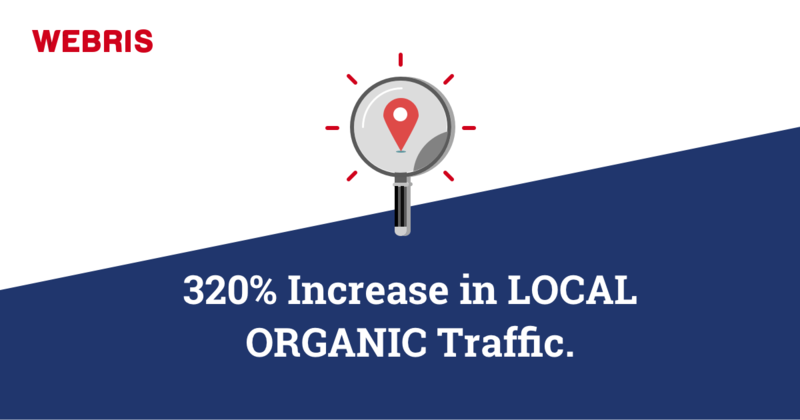 In other words, if you own a local business, capturing Google searches = more customers. 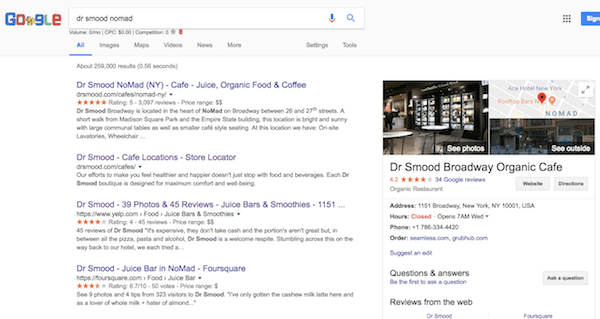 In this post, I’m going to break down the exact “local SEO” tactics we used to help Dr Smood increase local keyword rankings and organic traffic by over 320% in just 9 months’ time. 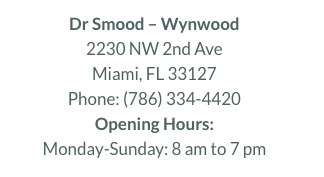 NOTE: Dr Smood is fiercely protective of the information published online — they did not want to publish content on their website. All new organic traffic came from “bottom of funnel” keywords (i.e. “coffee shops near me”). Finding keywords is straightforward – there’s already plenty of info on the web about this. For Dr Smood, we had to tackle both. 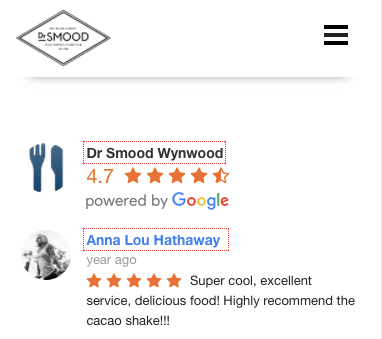 Not only does Dr Smood have 9 locations, but its model is a hybrid – it is a coffee shop, juice bar and organic cafe. Each of these keywords (i.e. “location + coffee shop”) trigger a different set of results in Google. This tells us that Google sees each keyword as completely different. It’s challenging to rank the same page for multiple terms that Google sees as unrelated. But each of these keywords was vital to Dr Smood’s growth. The goal was to maximize organic foot print by ranking for all of them. website to target largest keywords. Before working with us, the website was relying on the homepage to target all keywords, across all locations. If you want to rank a website for multiple locations, you need dedicated landing pages targeting each local market. 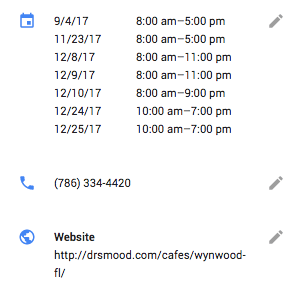 drsmood.com/cafes – a list of each location that HTML links to each subfolder page. Also, a map embed from the verified GMB listing. 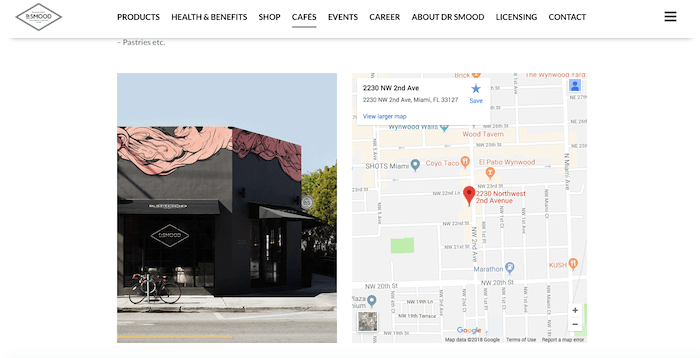 drsmood.com/cafes/location – a dedicated landing page for each physical location (i.e. drsmood.com/cafes/brickell-fl/). These pages would contain unique descriptions of that store, opening hours, map embeds, reviews and photos. 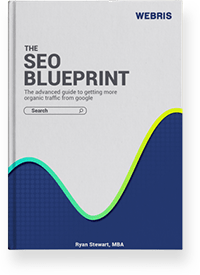 Ranking these pages for high volume keywords allowed us to dictate the band messaging, conversation and discovery process for potential customers. I wrote an article on Moz a few years ago that talked about not “forcing” your website into places it doesn’t belong. Google is looking heavily at “searcher intent” and matching result types based on that. 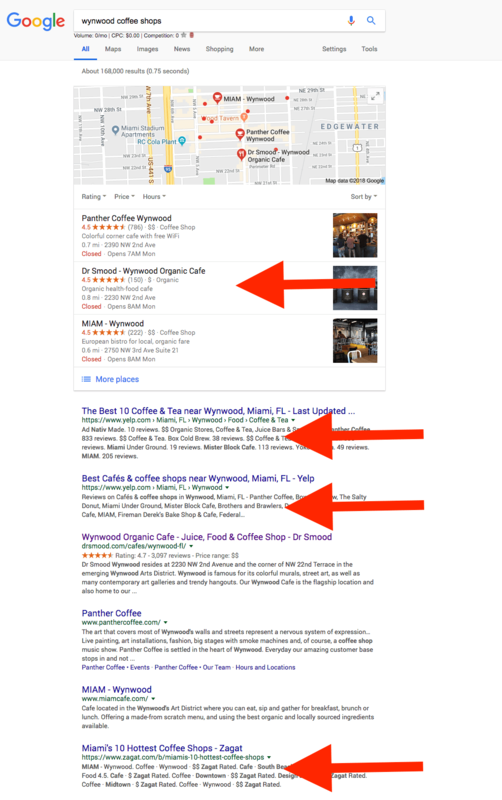 For example, if you’re looking for “coffee shops in Miami”, Google will tell you the “types” of content it wants to rank (based on user experience signals). My point is, sometimes your website isn’t the best result type. 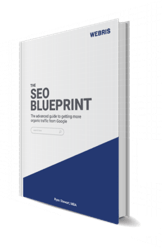 Instead of forcing your site into a SERP it doesn’t belong on, you can leverage the properties Google wants to rank for these keywords to your advantage. As mentioned, we created “cafe” pages for each physical location using a subfolder architecture. I love building pages from scratch because it lets us dictate both the UX and SEO aspects of the page. Note: the design of the website has since changed – a few elements were removed. When people are searching for “cafes”, they are generally on the go, in the moment. These pages had to render fast and clean on mobile devices. We then used citation page titles to capture other keyword searches. We want to associate our website with a verified GMB location. A great way to do so is building a section for the Google Maps embed into your landing page’s design. In order to get review stars to pull through in the SERPs, there needs to be reviews hardcoded into your page. 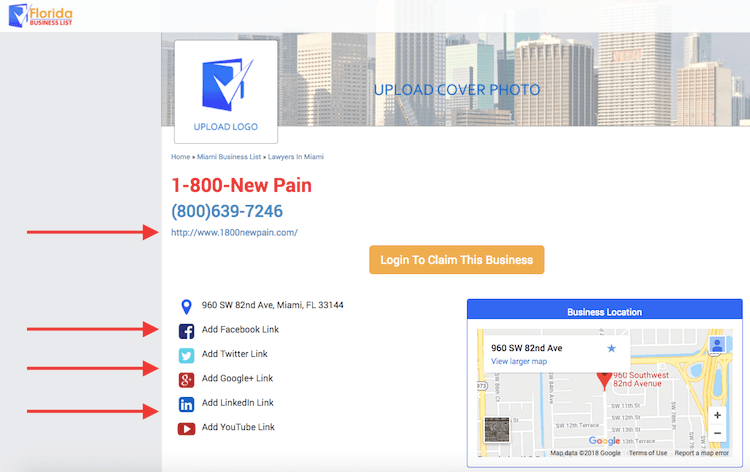 We developed each location-based landing page to pull through Google My Business reviews. The result was a HUGE boost in SERP CTR. Adding images to store landing pages helps improve the overall user experience. Personally, I love to hang out, have meetings and work out of cafes. As a potential customer, I want to see what the inside of cafe looks like before visiting. On top of that, it gives you an SEO boost from people using Google Images. Make sure to name all images with proper titles and ALT text. 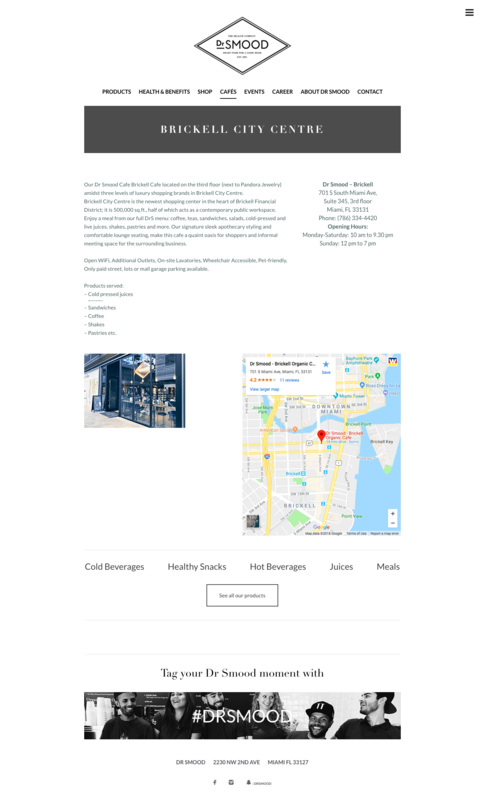 It’s important to add store info to each location page – it’s one of the main things a potential customer looks for on a page. Search engines crawl from page to page through links – these links help to build an association and “equity” between linked pages. We like to add external links to create an association between online properties. This helps clean up your branded search, specifically if you have multiple locations. Pages with unique text rank better in Google. We like to add 250 – 400 words of hyper specific information about each location. Structured Data (some call it Schema or microdata) helps search engines understand your page’s content. 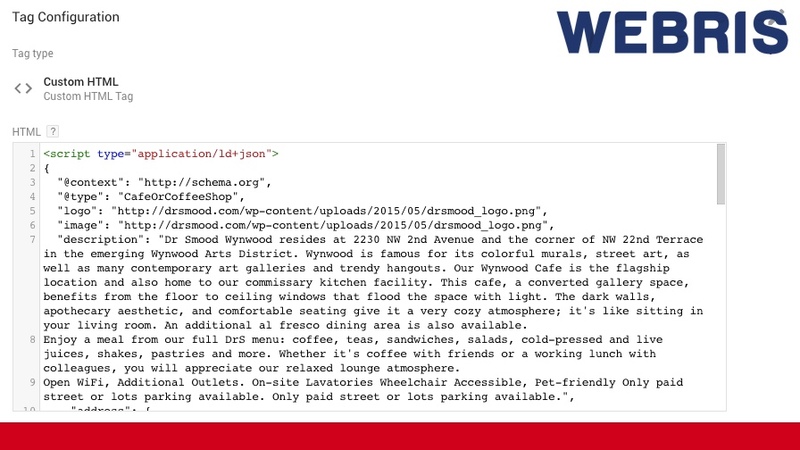 You can help Google Search understand the meaning of a page by including structured data in your code. Structured data is a standardized format for providing information about a page and classifying the page content. You don’t need to be a technical savant to write this – you can use free online tools to write it for you. 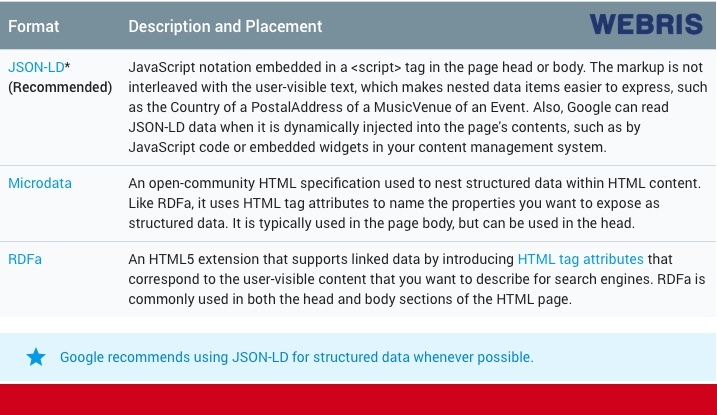 You can read more about Structured Data formatting here. 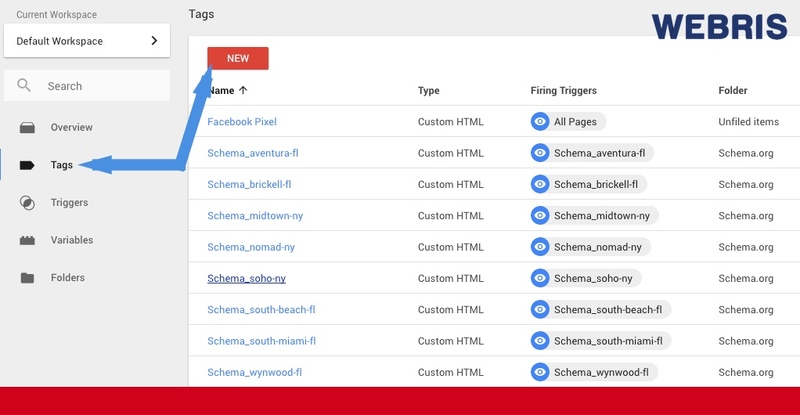 Google Tag Manager is by far the easiest and cleanest way to add the markups to your page. If you aren’t using GTM, I have a quick intro training on our YouTube Channel. You can use schema to tell Google your page is tied to a physical location. We added this markup to each of the “cafe” pages we setup. AggregateRating markups allow for review stars to pull through to the SERPs – this can be a huge CTR boost for your site. In order for this markup to show up in the SERPs, you will need reviews on the page. This generally requires you to modify your page’s template to allow for them (please review we have done this on our tools pages). “Maps pack” rankings are tied to your Google My Business listing, not [necessarily] your website. Since the Maps Pack dominates clicks, it’s important we pay special attention to optimizing our listings. You cannot rank in the local pack without being verified by Google. Read more about verification here. Google keeps expanding this section for what you can add. Obviously, make sure your hours and contact information are correct. More importantly, if you have multiple locations, make sure to deep link to the location specific landing page on your site. Again, cross property association is key. As mentioned above, we like to use Google My Business to target the main keyword. You’re able to edit the title of your page to include keywords. You have to be careful not to spam your title, or your’ll get dinged by Google. It’s subtle, but it works. Reviews are a huge ranking factor within local search – they can be challenging to get. To unlock the wifi (in stores) we implemented a prompt to leave a review (or follow their Instagram account). We setup an email campaign to customers asking them to rate their satisfaction with their experience on a scale of 1 to 10. Anyone who responded with a 10, we set an automated follow up asking for a review. The video below walks you through how to optimize GMB listings to rank in multiple local markets. A “local citation” is an online mention of the name, address and phone number (AKA “NAP”) for your business. Essentially, it’s the online version of a phone book. These citations help with local SEO because they show Google you’re a legitimate business that wants to be found. We want to make sure our website’s NAP is properly optimized across the web. If you’ve moved physical locations or changed phone numbers, you should audit + cleanup incorrect information. Citations for SEO purposes. These help boost rankings (i.e. includes a link), but serve no value to your customers as these sites are NOT heavily used (VIEW EXAMPLE). Citations for customer purposes. Sites that customers are using to find local businesses – Yelp, Avvo, Clutch, etc. Citations for customer purposes we clean up internally. Not only do potential customers actively search these sites, but we can also rank them in organic search for valuable keywords (mentioned above). These pages are too important to outsource – we use a Google Sheets file to organize each page / location. For the customer-focused citations, we optimize them for “on page” SEO, just like you would for a website’s page. 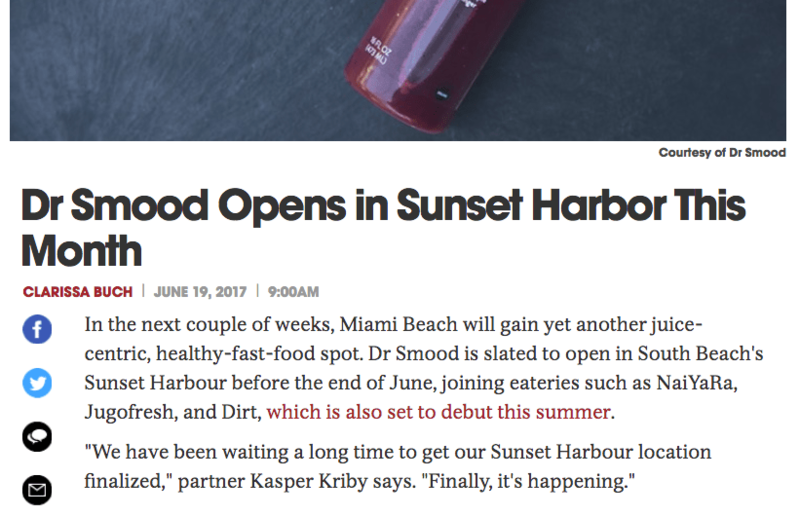 For example, we were targeting Dr Smood’s Yelp pages to rank for “juice” keywords. Your primary Yelp “category” pulls through into the SERPs. Make sure to select the category based on the keywords you want to rank for. Description – Add unique text here for each location. Images – Unique images to that location (you can use the same from Google). Links – ALWAYS include a link to your site. If you have multiple locations, make sure to link to that location’s landing page. After cleaning up existing ones, we want to look for new opportunities. If you’re on a budget, you can find quality local opportunities by using Google. If you have a budget, Whitespark has a quality tool that does the legwork for you. This generates a full list of citations your business should be on. The final step is to take your list of sites and manually create a profile on each. This is a manual process, but I recommend offshoring it. A little share goes a long way. Like this form? Grab yours here. “Best” keywords generally return “roundup” style posts on local authority sites – these articles present a perfect opportunity to gain additional organic exposure. 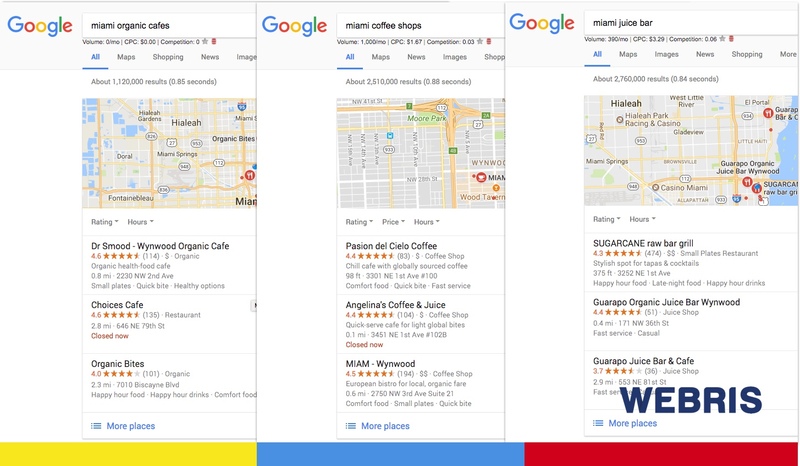 Use search operators to find “best of” articles relevant to restaurants, cafes, juice bars and coffee shops in Miami. Find the author and recording their contact info. Repeat until you have a large list of opportunities. Send a personalized email pitch to each prospect. My name is [YOUR NAME]. Our agency manages the marketing for [CLIENT]. We’ve got a new menu that we think would be a great fit for your column. We’d love to host you in our Wynwood location to sample the tasting menu. If interested, please let me know a time that works for you. Again, nothing special here – just find the opportunities and send them a nice email. Local news outlets are more than happy to cover new store launches. People love taking pictures of food and sharing it on Instagram. We saw an opportunity to bring local “influencers” into the stores and give them an experience worth sharing. 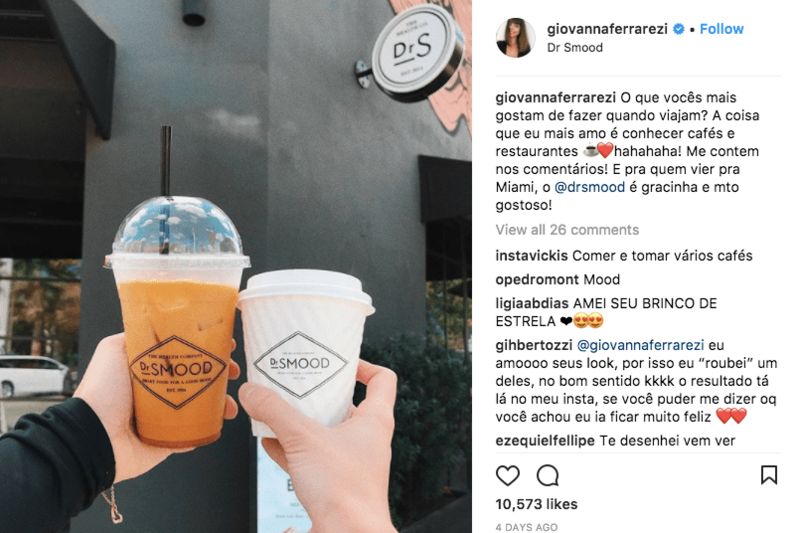 We built a list of relevant keywords and manually prospected Instagram to find each influencer. This is a manual process, but it’s required to find the right influencers. Outreach is a numbers game, you have to find a lot of opportunities to get results (we found over 2,000 and about 100 agreed to our offer). 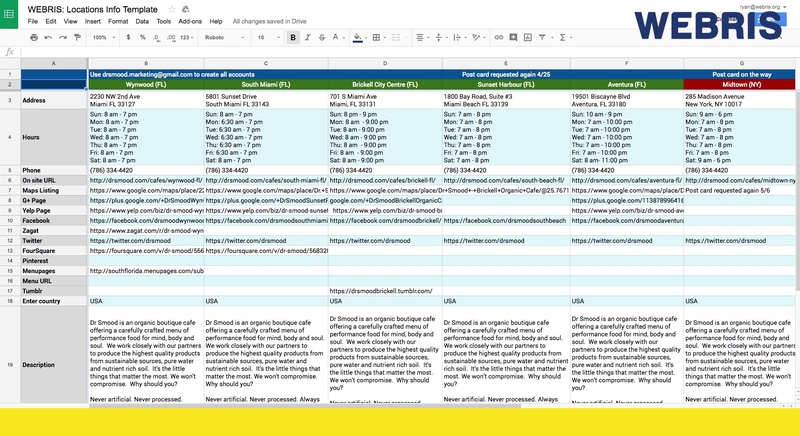 We recorded each influencer in a Google Sheets file for the client to approve. Each influencer received a personal email and invitation to a “tasting event” at a store location of their choice. There’s no official correlation between social media and SEO rankings. However, SEO aside, your business needs a presence on social media. Facebook (and Instagram) ads present a massive opportunity for local businesses to generate both awareness and foot traffic. These ad offerings allow us to market to people who have visited your website and are in walking distance to one of your locations. Instead of explaining it all here, I am just going to give you the strategy deck we put together for them. We mixed things up with different ad types (Instagram stories, Canvas) and focused mainly on video. The results were incredible. While Facebook tracks store visits from seen ads, the tech isn’t great. We saw a consistent increase in first time customers citing Facebook videos as the discovery channel. 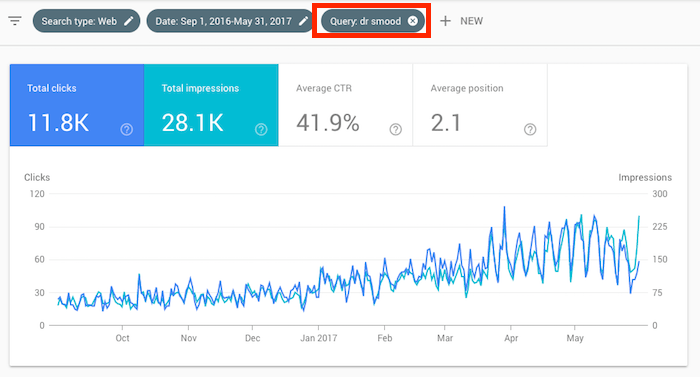 On top of that, we saw a steady increase in branded search during the heavy advertising periods. I am a huge believer in branded search as a ranking factor – read more about that here. Let our agency manage your marketing. Learn more. We build tools to help marketers be more productive. View tools. Get trained by our marketing experts. View trainings. Damn, I love reading your blogs, Ryan. Are you going to keep publishing (here or guest posts) since selling your agency? I’ll definitely be using this as a new local seo checklist for at least a handful for our clients. I’m really looking forward to watching your growth buddy, keep pounding the payment. Thank you JL! I will be continuing to blog here as well as on the IFTF agency website. I really appreciate you sharing this case study, I learned a few more brilliant tricks from this post! Side note: Absolutely loved “secure the bag”! Great read..
Ryan, what an EXCELLENT case studies. So many amazing, actionable takeaways. Thank you for always raising the bar and providing GREAT content. footprint = SERP real estate. Great article Ryan, as always :). Is there something wrong with my twitter account that I can’t open Google sheet template? When trying to share I’m getting this message: “error connecting to twitter! try again later!”. Yeah, that’s on our end – our dev team is working out the kinks! Hey Ryan, great article. Any chance you could send a direct link to the google sheets doc? Great stuff Ryan! Follow up question.. What would you use on JSON-LD Schema Generator for Dance Studio / Dance School? I couldn’t really find a category that fits under local business. Thanks!! This is amazingly detailed and well written. Thank you for sharing this with us. Your article is well laid out and has many important steps to success, but we run a service area business and there are different limitations for SABs that affect us differently. Do you have an article that deals with the issues we face in the SEO and local search (battle)field? SABs can’t, for instance, create a GMB page for each city we service because we don’t have a physical location there, etc. Would love to hear your thoughts!